The 10 Best Breakfast Spots in Maryland! Calling all breakfast lovers: Maryland’s quaint and family-friendly breakfast spots are home to every sweet, salty, and savory breakfast meal imaginable. Dishing up everything from the best chicken and waffles you’ve ever had to cinnamon roll pancakes, the Free State’s breakfast joints will leave you full, satisfied and planning your next trip back! This simple restaurant is focused on what counts—giving guests the best home-cooked breakfast experience around. There is nothing fancy about Simply Marie’s and that is exactly why we like it. You come here when you want breakfast that tastes like Grandma made it. They have the best chicken and waffles and you will easily want to eat here every day. For a combination of fresh ingredients, a sophisticated take on the classics, and Chesapeake flair, you want to visit Miss Shirley’s. The food is fabulously tasty and they have won numerous awards for best breakfast and brunch. Yummy crepes? Check. What more do you need? Sunny Day Café features a long list of both savory and sweet crepes so there is something for everyone to enjoy. For Maryland flair try the Crabby Florentine stuffed with crab meat, spinach, mushrooms, caramelized onions, two cheeses and sauce. 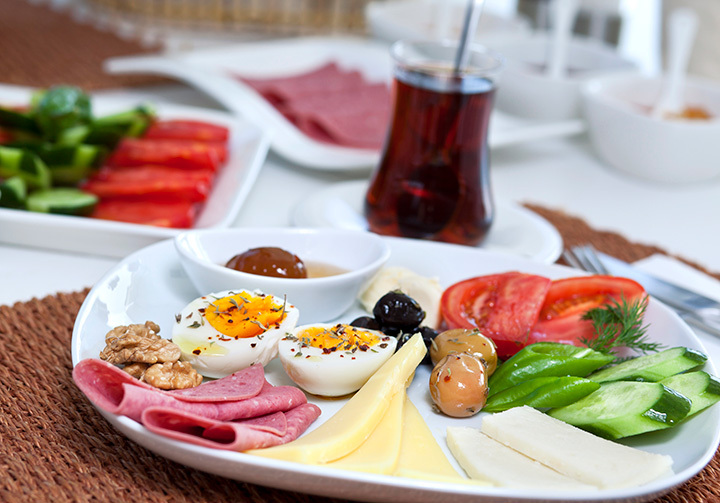 For those who want to stick with the classics, delicious traditional breakfast dishes are served as well. Delicious breakfast can be found at this local hot spot, and the best part is they serve it all day long. You can never get bored of the food because they offer multiple variations of old favorites. For example, you can choose from five different types of Eggs Benedict. For something unique, try their cinnamon roll pancakes. They are to die for. This is not your typical breakfast spot. It is a modern take on a waffle joint, featuring sophisticated pairings like the Curious George where coconut is the main star. What makes Café Mezcla a stand out is their variety of fabulous coffees and teas that are perfect for someone who would normally never dare try a cup of house brew. Pete’s won the "Best of Baltimore" award for breakfast, so this cozy joint is always packed. This is a local favorite and has been for fifty years. They have a regular menu and also offer weekend specials like chipped beef over toast and blueberry hotcakes. When you step into Pete’s the staff makes you feel like a local, making it a very fun and relaxing environment. Everything is romantic about St. Michaels. This Eastern Shore charmer is the place you want to take your love for a weekend get-away. Romantics from all around the state love to dine at Bistro St. Michaels. They have managed to create a romantic breakfast spot where you can enjoy a gorgeous, organic and locally sourced breakfast. Serving vacationers for 50 years, this is a breakfast joint that most Maryland beach-lovers are familiar with. You can get virtually any type of pancake here, making this a family favorite that both grandma and your toddler will enjoy. For a southern flair, try the pecan pancakes—yum. You know how small communities always have a local joint they go to but no one else can find it? Yep, that’s the Frying Pan in Lusby. This southern part of Calvert County is gorgeous and surrounded by water but not exactly a tourist destination. Locals pack the place and have for decades. Whether you are passing through Lusby on the way to Solomon’s Island or go just for the breakfast, try the Country Breakfast Grits and Corn Beef Hash. You will be glad to have made the trip.